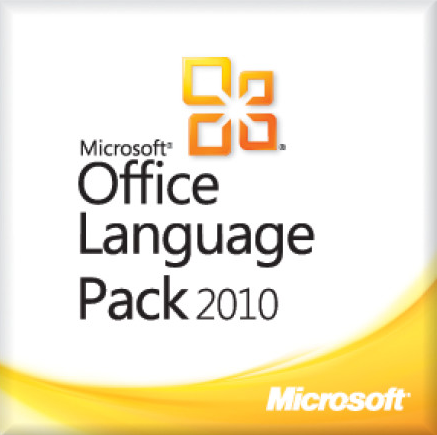 Microsoft Office 2010 language packs serve the needs of people who want to use Microsoft Office 2010 in languages other than English which is the default. It is useful especially for people who either want to use Office 2010 in their own language or want to use a multilingual setup so that they can work with multiple languages at the same time in Office 2010 installation. Microsoft Word Starter 2010 and Excel Starter 2010 are not supported by these language packs. If you are a Hindi user, these language packs will not be able to convert Access 2010 and Project 2010 into Hindi. If you want to install multiple Office 2010 language packs in the single installation of Office, you can choose your language and the download location below. Almost everything including the help and support system will be converted to the language of your choice. You may also be interested in downloading Microsoft Office 2010 (all languages) and Microsoft Office 2010 SP1 (all languages). The links given in all these articles are direct download links for downloading Office 2010 language packs. So you only have to click the link and it will start downloading your desired product. Thank you for your work, however upon following the links (I tried 4 different ones), they all go to an English “Home Use Program” page. This is a “Buy MS Office for home use at a discounted price – enter your email and Corporate Code to verify eligibility” for corporate volume buyers. There is no way to say “Not interested” or “I don’t qualify”. I need to change my MS PROJECT 2010 from French to English, the links doesn’t work. I appreciated if you can help me. I need to change my MSPROJECT from French to English, the links doesn’t work. I appreciated if you can help me. When I try the Japanese Language Pack for Excel 2010 the link does not work. It takes me to a Microsoft homepage? Can you help? The languagepack for Norwegian is not working (neither 32b og 64b). Will it start to work again? And if not, where can I get the languagepack if not here? The links for download of Croatian 32 bit do not work. Can you help me? The links for download of Hebrew 64 bit and Portuguese 64 bit for office 2010 are dead (404). I have verified that both Hebrew 64 and Portuguese 64 links are working properly. Can you check again please? “The Page or File You Requested Could Not Be Provided. Seems like Microsoft has removed the download links. I can still access the language packs through MSDN though. If you have an MSDN subscription, you may download the language packs from there. *Language Packs are not supported on Word Starter 2010 and Excel Starter 2010. Access 2010 and Project 2010 are not supported in Hindi. **Display languages for Microsoft Office Tools, such as Clip Organizer, Document Imaging, Document Scanning, and Picture Manager, are localized when Language Packs are enabled. Application localization varies by language. To view which proofing tools are included in each localized version, visit the Office Language Packs website. Is there any error message that you get? I’m able to download the packs smoothly ..
No you can’t install Office using a language pack. The office setup should be installed first and then the language pack. Not working. I downloaded, installed and it said it works. But it still had everything in English so I went to the Options and looked at Language packs and it said German (default) but my MS office was still in English. does this work for Office 2010 for Mac? I see the downloads are .exe files, can Mac handle that? Absolutely not. Office for Mac is Office 2011 and not 2010. I have been on search for language packs for Office 2011 but have not been able to find anything yet. Portuguese Brazil worked for me.Thank you so much. Thank you for your offer. Turkish 32-bit version is working. It was so helpfull for me. Yes the latest versions of language packs for Office 2013 are paid. I have official Microsoft Home and Student 2010 (with Product key ).It means I can only use Word/Power Point/Excel and One note.The other are granted trial version Professional (Expired ) Outlook/Publisher and Access. How can I use the last listed programs.Any download link with you without Key number? Any download that will accept the product key number I already have with me. These are English versions. Please see if these work for you. To be able to install ONLY the proofing tools of aa certain language (eg. Spelling and grammer check, Thesaurus…) and NOT the whole language pack which changes also the UI. MS Office 2010 Multilanguage Pack with proofing tools (or MLP). It comes in 2 versions cd/dvd the cd has the ML packs while the dvd has the proofing tools as well. Is there any chance you could upload / link to this ??? Are you talking about Language Interface Packs? No, I am not talking about LIP. The LIP change the user interface to the language of choice but I don’t want that. I want my Office 2010 to remain in English but to have proofing tools functionality for the other languages that I type in. For example, I would like to have an Italian thesaurus and grammer check for my Italian documents while keeping my normal english user interface intact. It’s not logical to force people who use more than one language to install or convert the whole package interface into those languages just in order to be able to use them with all features available. I hope you understand what I’m looking for as I know for sure that this thing exists. I’m not sure whether these are legal for office use or not but we have only provided the direct download links from the Microsoft servers. Nothing is from ourselves ..
O Portugues 32bits Não funciona. Salva mas não executa, diz que não é um aplicativo Win32 válido. You have been a source of great help to lot of poor computer users. God bless your noble work.And give you good health. The English download did not convert One Note 2010. How can I do that please. What is the error message you are getting? Any eventlog entry related to this issue? Thank you!! Got the Brazilian Portuguese pack and it works like a charm! Thanks a lot for Croatian language pack. Downloaded German Pack: works like a charm ! Little strange though: I do have a 64-Bit version (installpath= …Program Files (x86)… ) never the less the installer says it wont allow the installation of the 64bit language pack… so I downloaded the 32 Bit version- and all went fine. Thanks a lot again for providing this- I think MS charges people for this, don’t they ? Yes, the most recent versions of language packs are paid ones. Assalam and jazakaallah Khairan Katira. May I ask. Do you have a MALAY version (Language), Insyaallah. And can you my brother, give the link. Thank you, thank you! This has been a lifesaver! I looked everywhere for these packs and directions. Great language pack (Danish 32bit), works like a charm on my old Office 2010 starter edition. I want the Arabic and I have Office 2010, Ive downloaded it and restarted as it instructs, Ive tried to change the options in word and it doesnt show as the arabic language pack as being installed. I try tu use this pack in spanish, but it says that only works in office 2013… Do you have the 2010 version? These language packs are specifically for Office 2010. Office 2013 language packs are different. Thanks for these links, they are really useful. I have some issues with the Danish version. When I try to install the 32-bit version i get an error message that says that i can not install 32-bit version because i run a 64-bit. When I try to install the 64-bit i get the same an error that says that I can not install a 64-bit version because i run a 32-bit. I notice that the 64-bit version is "Compatibility Pack for the 2007-Office system" and the 32-bit is "Microsoft Office Single Image 2010". I can not download the link from Microsoft because the page display this error:"Error. Page cannot be displayed. Please contact your service provider for more details. (9)"
Does anybody has any suggestions/ideas? I have same problem with Arabic pack. Any suggestions plz? I have same issue here with Arabic. Greek version 32 bit works perfectly. I had given up looking for this. Usman brother can you help me. I want to get free download office 2013 pro plus Arabic language pack because I have office 2013 but I don’t have language pack . So please help me and send me solution of this problem.Thank you so much. Thanks, work great (Polish x86, 64). Windows 8. I was looking for German language Pack Office MAC 2011. Do you have a link or any idea where i can get this package? Awesome job done! Thanx a lot brother. Had a request. Can u please find the language pack for Sanskrit? I wasn’t able to find Sanskrit language pack. Are you sure Office 2010 Sanskrit language pack exists and has been provided by Microsoft? It has an option for Sanskrit language in the language settings.. Thanks a lot for your help. I loaded spanish and it works perfektly. i downloaded japanese. My office 2010 is korean version. hi. why are yhis files so big??????? These are complete language packs and are provided by Microsoft itself. I’ve been looking for a free-reliable source to download language packs for my Microsoft Office 2010. Thank you so much for sharing this invaluable service free of charge. I downloaded Brazilian Portuguese-32bit version last night and it works flawlessly. This is Malware, do not trust! I can confirm that there is no malware in any link on this page. All the download links are direct download links from Microsoft’s servers. We don’t host anything anywhere else. To all you Norwegian out there. The link on this page is the “bokmål” language pack. Downloaded the 32-bit Norwegian, and it works fine. Had to remove some “Microsoft click and drag” software thou. Спасибо друг!!! Всё работает отлично. Thank you friend! Everything is working fine. Dont know what to do next.. Although it is for Office 2007 but it should work with Office 2010 equally. Please let me know if this solves your problem. You’re a lifesaver, my friend. luck until I finally found ur site. My sincere gratitude to you. Thanks! God bless ya big time. Jazak Allah Khair! Thanks! The 64 bit version of the Arabic Language pack worked on Office 2010. Now where can I get a 32 bit version of Arabic Language pack for 2013? Thanks, I saw this article too that you just pointed out, however, it only provides the Office 2013 Proofing tools. I already have the Office 2013 Arabic Proofing Tools. What I need is the 32 bit Arabic Language Pack for Office 2013. I was hoping, Inshallah, to find it as a free download. I want to be able to access “Display and Help” options in Arabic. Unfortunately, I haven’t been able to find the full language packs for Office 2013. I’ll keep searching for them and will update you if I find at least the Arabic language pack. I’ll keep looking too and will let you know if I find it. Just thought I’d update you on my spell check issues. That’s it! Basically we might let you know in the future if we can help you – but not for now. I have not purchased 2013 because the Microsoft people were very clear in saying that it was valid for one machine only. I specifically asked if my machine broke down, could I reinstall 2013 onto a new machine and they said NO. I hope this helps. Please let me know if it doesn’t still auto-correct. I contacted Microsoft Support and they went into remote assistance. They checked everything and we even uninstalled Office. Unfortunately, however, for some unknown reason, autocorrect still does not work as you can see from the obvious mistakes I am making as I write. What I mean to say is that, up until one week ago ( and this has nothing to do with that fact that I downloaded the Italian Language Pack from you) – autocorrect would fix the common words that were written wrongly. I’ve never experienced a document with so many underlined wrong words. They said that they would escalate the Mayer and call me back on Monday. I will keep you informed if you wish. Language witch I selected, worked time ago fine. Now I am using it once again and I belive, it should work again. Many thank´s for nice job. This website is way better than Microsoft’s download center (spend 2 hours there and couldn’t find what I was looking for). RESPECT! you are the man! Thanks a lot for the compliments Greg. This gives us fresh energies to work towards providing better stuff to our readers. Your link to the Dutch 32 bit version starts a download of the Danish version. Though I’m not sure about the invalidation bit as I have never encountered this situation with my Office 2013 or Office 2010. THANK YOU!!!! As of last week 2010 language packs are no longer available to buy from Microsoft and I have just purchased Office Home and Business. These rat-bags want you to buy 2013, which however, is only valid for ONE MACHINE, so if your computer breaks down and you need to buy a new one, you need to buy Office 2013 AGAIN!!! I don’t want to be a slave to Microsoft and wanted 2010, but they won’t sell you the language pack!! Laura, you can use Office 2013 product key which you have purchased multiple times with the condition that it should be active only on one installation of Office 2013. If there are multiple installations running at the same time, the key may get invalidated. Took PC Cleaner and probably got rid of some conflicting files. Download the Swedish-LP again and it’s working fine! Thanks for all tour help and keep p the good work! Got here from a video on youtube. Great site. Left good feedback on comment on YouTube. Hello Usman I’ve never ever Saw a Wonderful Site Like this ~!!! Everything is Working Great, Organized.. I mean,,, man You’ve got some skills… Anyways Thank you.. I really appreciate your hard work ~!! I just Installed my Language pack ~!! English. and its working like a Charm, and I owe you man~!! Keep up the good work :)! As said, I dowloaded the 32 bits version, but somehow I can not get it working. I will try it once more an will chose an other laguage. Perhaps the swedish pack conflicts with the old Office version which was installed. Perhaps there are some remaining hidden files. Let me try it and I will get back on the subject later! I do get the information from my security that the publisher is unknown and thus can not be trusted. But I scip that information. What should I do? I am not such a greate computer fanatic and have my limitation because I just switched from XP to 7 and from Office 2007 to Office 10. If you skip the warning and proceed, the package should install as planned. Have you tried and it didn’t? Make sure that you are downloading and installing the 32-bit language pack for Office 2010. The 64-bit won’t work on a 32-bit installation. a lot of people owe you a lot. Really. Thank YOU for this. Realy your work is good and also fast reply.I download hindi lang. pack.i don’t install yet,but i thanks u if it’s work or not. Hey does this change the shortcuts too? I want to change the shortcuts to english! You can create the shortcuts again if they are not changed to English. But I think they should be changed automatically to point to the new language installed. Why are each of this files so big? Do they contain all language packs and just extraxt the chosen one? Shomy, these are complete language packs which will completely change the language of your Office 2010 including help files, grammar and spell checking and other utilities. The one you downloaded would be the Language Interface Pack which only changes the interface elements of Office 2010. Works like a charm, thanks for gathering these language packs! this downloaded just fine and looked like it was working but it still won’t show the abc check next to german and won’t recognize any (blatantly) misspelled words.. i’ve checked ALL the settings about 20 times each so i think there is an error with the installation. What can I do to make it work? Language Interface Packs are free for all languages for Office 2010.
it finally worked after i repaired it.. thanks ! are these language pack legal. If I bought e.g. American MS Office 2010 can I legally use German LP? All these language packs are provided by Microsoft for free. Microsoft has gone further and Office 2013 includes all these language packs. The language packs can be installed from within the Office 2013 interface. You can always add and remove the language packs in your Office 2010 installation. thank you. that is very good news! Hello sir , I came to know that These are not freely provided from microsoft ! I just checked their website nd they are asking for 1500 rs and then I just google it and found your website !!! so why would you want to share thing freely that someone is selling???? Downloading the files from Digital River is absolutely legal and completely free of charge. Digital River is authorised by Microsoft to host these files. Since it is an official download channel, you can be sure to receive clean setup files free of viruses and malware. Without a legally obtained product key however, any installation will only run for 30 days. Afterwards, it needs to be activated. On contrary to the impression they give, the download links provided above got nothing to do with the digital river company. you won’t be downloading these files from digital river servers. You don’t expect them to put it there for sale and also offer the free download link, right (that’s actually what they do but in disguise). However, these files were, of course, downloaded from the digital river servers, by somebody sometime, as it is the official provider of these language packs. So, why do they sell it if everybody can come here and get it for free? Because they can, and because there are some people who prefer to buy something that isn’t offered for free by the producer. You are full of $h#t! (5.) you could even import the language packs with this programm! (BUT with the above language packs given they install perfectly! JEEEZ! Is it really that hard to have an fully installed / activated copy, guys? Thanks a lot for the alternative method but I still prefer to download one of the language packs from the above links and install directly instead of using a third party tool. But it definitely helps when the direct method is not working. Any idea of how I can get Croatian proofing tools for Office for MAC 2010? The files here work only for Windows, right? Can you be specific. Do you want to proofing tools or the language packs? You Office for Mac should be 2011 and not 2010. Here’s a helpful article on using multilingual features in Office for Mac 2011. Thanks for replying. Yes, it is Office for MAC 2011 (I have the English edition, sold here in Brazil) . I can choose a Croatian keyboard and type all Croatian characters, but have no spellchecking or dictionary for Croatian in Word. I’m still searching for a suitable tool that could give you what you need. Will let you know if I find one. I downloaded the English language pack and after extracting it, Nothing happens! Please help. How you are extracting it? You should be able to run the setup of the downloaded language pack and then change your language with Office 2010 by going to File –> Options –> Language. Guess im missing something, what about the product key? If you have bought Office 2010, you will be able to used the same product key and any language of Office 2010. Dude! You are amazing! Thx alot! thank you very much! Worked for me, although I have a -64bit PC it wouldn’t let me install the -64 bit version, so I had to install the -32 bit one. What error was it giving while installing the 64-bit version? this is working great! thanks a lot! Can you tell us more about your system and the error you are getting while installing Office 2010 language pack? Which language pack are you trying to install? Hi this is not all language packs. Where is Gaeilge? Really need it. Is it possible to put it up too? Do you require something other than this? Thanks a lot for the compliments. It’s great to know that this site is helping you.